ADA, Mich., March 27, 2013 /3BL Media/ - Amway North America is looking for 10 outstanding youth changemakers from across the U.S. and Canada to give them a chance to amplify their impact on the world through Amway's Who Cares Challenge: Youth Leadership Contest. The contest, which was announced today at We Day Seattle, will award 10 winners $10,000 each to give to the nonprofit organization of their choice, along with support from a mentor at international charity and educational partner, Free The Children, to help them realize their vision. Amway is dedicated to giving individual entrepreneurs the resources and support to become successful independent business owners. Through Amway's Who Cares Challenge, the company is empowering service-oriented youth in the same way by providing them the resources, mentoring and funding they need to give back to their communities. Over the next 10 weeks, Amway will be collecting contest entries from teens and young adults ages 13 to 22 across the United States and Canada. Applicants will be asked to share their stories of leadership in local community service. "As we join Free The Children in celebrating the first We Day here in the U.S., we're pleased to offer a fresh opportunity to young people passionate about service through Amway's Who Cares Challenge," said Tanios Viviani, Regional President for Amway North America, who announced the contest on stage at We Day earlier today. "The contest will allow young people to share their story and continue on the path to making the world a better place." This year marks the 10th anniversary of Amway's global commitment to helping youth around the world. Since 2003, Amway's employees and business owners have joined forces to help more than 10 million children, logging over 2.7 million volunteer hours and raising $190 million dollars for children's causes worldwide. "With our mission of empowering youth to be the change they want to see in the world, Free The Children is excited to partner with Amway to honor young people dedicated to making a difference in their communities," said Craig Kielburger, co-founder of Free The Children. 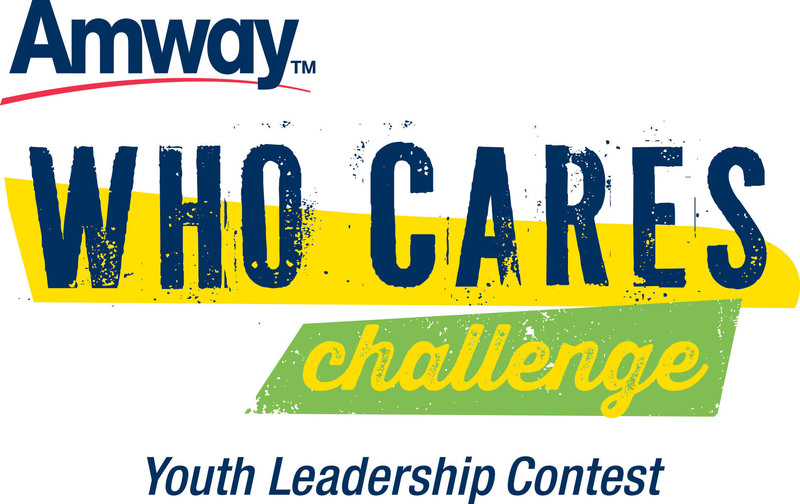 "We look forward to hearing the inspiring stories submitted by youth who enter Amway's Who Cares Challenge: Youth Leadership Contest over the coming weeks." For more information or to enter Amway's Who Cares Challenge: Youth Leadership Contest, visit WhoCaresChallenge.com. Amway's Who Cares Challenge: Youth Leadership Contest will honor 10 youth changemakers in the United States and Canada. The contest is open to youth ages 13 – 22 and entries will be accepted from March 27 – June 5, 2013. Applicants will be narrowed down through public voting to a group of 100 entries. Charity partner Free The Children will then select 10 winners to receive $10,000 each to give to the nonprofit organization of their choice, along with support from a mentor at Free The Children to help them realize their vision. Five grand prize winners from among those 10 will also receive a trip for themselves and a companion to Free The Children's next We Day youth empowerment event, which will take place in Minnesota on October 8, 2013. Amway (amway.com) is one of the world's largest direct selling businesses, offering individuals an opportunity to earn income by selling products and recruiting others to do the same. Alticor Inc., parent company of Amway, reported global sales of $11.3 billion in 2012. Founded in 1959 and based in Ada, Michigan, USA, Amway offers consumer products and business opportunities in more than 100 countries and territories worldwide. The top-selling brands for Amway are NUTRILITE® vitamin, mineral and dietary supplements, ARTISTRY® skincare and colour cosmetics, and eSpring® water treatment systems.